Ketchum's integrated multimedia campaign for Narcan's launch addressed three audiences: the nation at large, community organizations, and consumers. With an opioid epidemic gripping the nation, overdoses had become far too common. Adapt Pharma had an FDA-approved nasal spray as an antidote, but had no sales force or advertising budget. There was also a major awareness disconnect: Large drugstore chains declined to stock it, and law enforcement agencies had never heard of it. 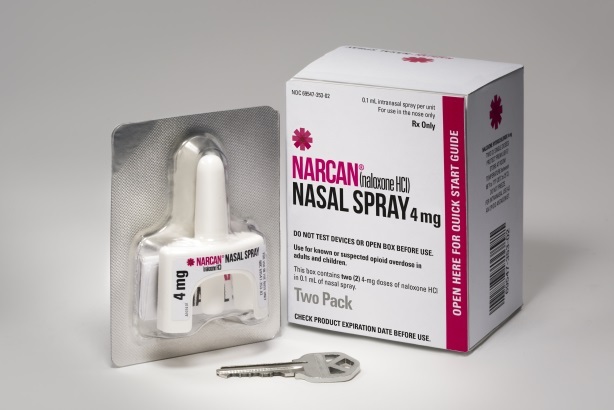 Research showed the word "Narcan," Adapt’s licensed trademark, was commonly associated with naloxone, the name used overall for the drug category. Insight also showed opioid overdoses were concentrated in the Northeast and Midwest, and that 35 states had approved legislation that allowed access to naloxone products for people. Ketchum understood it had to differentiate Narcan by raising awareness. Its integrated multimedia campaign for Narcan’s launch addressed three audiences: the nation at large, community organizations, and consumers (parents, friends, and caregivers of drug users). It went after each with strong media relations and outreach. The firm pitched reporters who mistakenly used the Narcan name in place of naloxone; conducted media tours in relevant areas; and provided newsworthy donations, including an offer for free Narcan to every U.S. high school and 50,000 doses to law enforcement agencies. Online videos demonstrated how to use the product safely. The campaign worked. Adapt seized a majority share of the naloxone retail market in six months. It signed preferred partnerships with CVS and other chains, and inked deals with hundreds of police departments. Week-over-week increases in sales continued in markets touched by media coverage; media impressions topped 745,000. "It’s a great example of innovative PR driving business results," one judge wrote. "Strong research led to great results," another noted, "all for a low investment. Research told GSK that 88% of migraine sufferers feel misunderstood. So the team devised a campaign that drove consideration of Excedrin Migraine while positioning it as the brand that gets it — and cares. The film version gave non-sufferers glimpses into the migraine reality on TV, digital, earned, and social. Sales of Excedrin Migraine outpaced the prior year’s, increasing 15% year over year. Searches for Excedrin and Excedrin Migraine increased 53% during the campaign. Across social, Excedrin-branded migraine mentions increased 218%.